Beach or rural … what about? 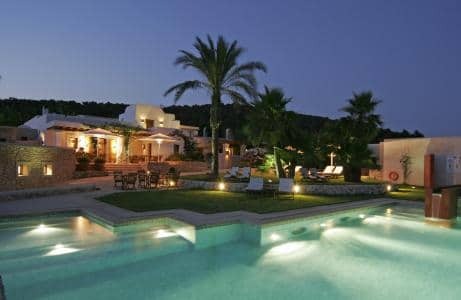 Ibiza beaches have become famous only in the last decades while the true nature and the spirit of the island are the landscape of the land and the rural aspect. If the colors like blue and turquoise characterize, not a little, the beautiful waters of the sea, one of the colors that is most noticeable on the island is the vivid green of the Mediterranean scrub, perennial throughout the year . This color is particularly intense in the late spring and early summer months, with days full of light and sunsets well past 21:00. May and June are the ideal months to organize a wedding on the island. In the same way we must not disdain at all the period September-October during which there is another color that stands out in particular, is the red of the earth lit by the sun of summer. The history of Ibiza is the field and the term “pajes” you absolutely must know it! The evocative atmosphere of an early morning in early summer characterized by that light haze that covers the “sacred” hills you have to live it! That’s why we propose to celebrate your wedding through two enchanting scenarios: the sea and the inside.